Happenings: Love at First Sight! We reach her private room and wait. Where is the nurse? Here I am, sitting outside the glass doors, just steps away from her and I can't go in. They have her under special precautions. The night nurse hands me a gown and gloves. Nate finally rolls me in. I'm struggling to stand up. It hurts but I don't care. And there she is. My sweet, precious baby girl. I want to hold her more than anything but they say no. She's not stable on the machine. I think, don't they know what we've been through? Don't they know the experience I have, holding little Logan, with 4 times the IV's she's got, chest tubes coming out everywhere, a REAL ventilator hooked up? Stupid hospital rules. That feeling of inadequacy creeps in again. She's mine, yet she's there's. She's resting comfortably according to the monitor. But I just hate that another one of my babies is robbed of the chance to be cuddled by their mother. I remind myself to be thankful. One step at a time, you can do this. They don't want to wake her. I'm exhausted just from my short trip up the elevator. So we decide to go back and get some rest. The morning comes. I get out of bed and insist Nate helps me up to the 3rd floor. They say she did well through the night and they're going to allow her to try to eat later in the afternoon. I'm so excited by this news! The boys come to visit me and Nate decides to take them to the zoo. My Mom stays with me and my friend Amy comes over from Ohio to spend some time with me too. The nurse rings my room that Addison is ready to eat. I feel a little awkward. It's been 8 years since I nursed a baby. Do I remember how to do this? And with an audience no doubt! She's having trouble. Is it the latching she can't get? She doesn't seem hungry. But how can that be? Amy takes pictures...my first ones holding Addi! The nurse tries to help but Addison just doesn't seem interested. We try a bottle instead. But she doesn't want that either. She won't even try to latch to it. Amy notices that Addi's feet are purple. Am I holding her too tight? I unwrap her and her whole body is modeled. The nurse says she'll make a note of it and let the doctor know when he does rounds again. I'm disappointed. But on the other hand, how can I be? I'm finally holding my girl! We try again at the next feeding time, but this time with the help of a lactation consultant. But still no go. She is a cutie. Loving hearing the whole story - I so feel for you. Can't imagine. Hi everyone! Welcome to our little piece of the world! These crazy, but fun years seem to fly by! And I wanted a place to document the adventures in Maier-Land. A personal, digital journal if you will. This is our story...and welcome to it! Nate and I have been married for 9 years and are the proud parents of 2 energetic boys and 1 beautiful little girl! We’ve raised our family near our hometown in CA until Sept. 2008 when we relocated to Indiana. We feel blessed beyond measure! Luke is 8 years old and all boy! He enjoys riding his bike and driving his go cart. He's also the sweetest big brother to Logan! Logan is 6 years old and is the most precious boy you'll ever meet. He started Kindergarden this year and is loving it! Logan was born with a CHD : severe aortic stenosis, vsd and a pda. He's had 3 open heart surgeries and countless procedures, with a long road still ahead of him. And through it all...he's been the bravest person we know! 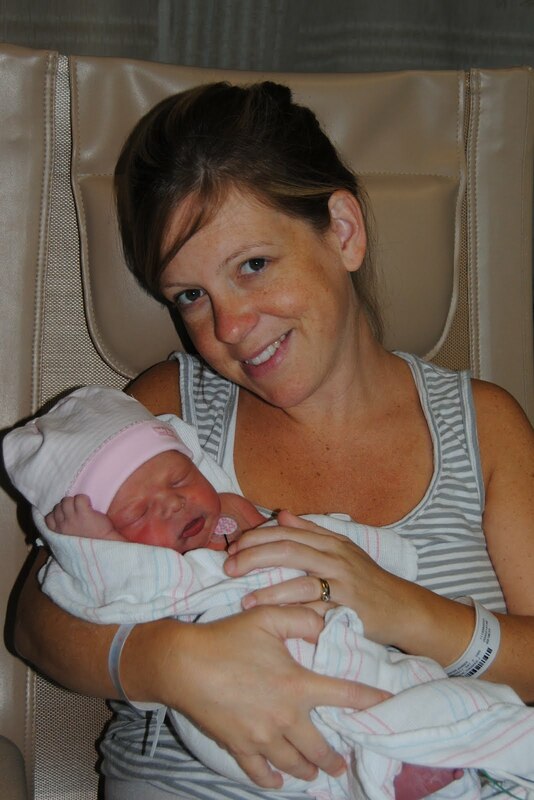 Addison was born on August 2, 2011 weighing 7lbs 9oz and measuring 19 ins long. She is the most precious thing in the whole world!